Struggling in his role as a newly single father, former army medic Kevin O'Brien moves home to Chesapeake Shores. He wants a haven for himself and his toddler son, surrounded by the family he knows he can count on, and a future that's nothing like his past. But Kevin is suddenly facing a risk he hadn't anticipated, in the form of Main Street bookseller Shanna Carlyle.Shanna immediately recognizes Kevin as a wounded soul—she's had way too much experience with the type. Still, this charming O'Brien man and his son are almost impossible to resist. This was a story of a son Kevin from the O'Brien Clan who has lost his wife after she went back to Iraq. Where they both met by the way. Their family was not to happy about that by the way as told in the book prier to this. 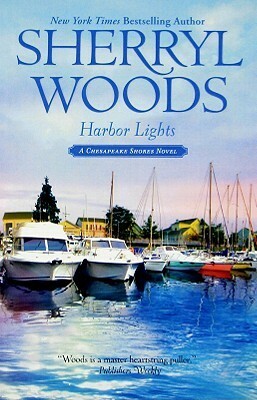 This book revolves around him and his son coming home to Chesapeake Shores after a year. He is in a deep depression and the family needs him to snap out of it for Davey. He does not feel there is anything wrong with himself but the family sees it a different way. He wanders into the local bookstore and meets Shanna Carlyle and she sees him as he is a wounded soul but he is not looking for anything from anyone he is still mad at the world. It isn't until Someone from Shanna's past threatens her and she is in fear for the Son she had to leave behind. It may not be her blood child but it is the child of her heart. Together they both have figure out how to come out of their tail spins will they make happen alone or together?